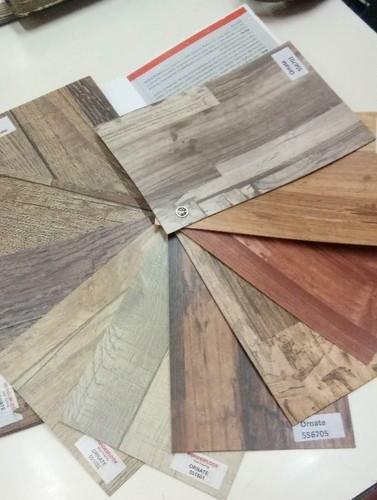 We are offering Ornate PVC Flooring to our clients. Since its inception in 2013, Aditya Floors has been an eminent manufacturer, wholesaler, trader, retailer, service provider and supplier of a wide range of premium quality Carpet Tiles, PVC Strips, Wooden Flooring and etc. we are also providing the Installation Services.In our efforts to satisfy the demands of a large expanse of customers in the industry we sustain a large product inventory. All products in our inventory are guaranteed to be genuine and versatile provided to us by the finest vendors in the industry. Our highly qualified procurement agents have identified a potentially popular vendor base offering premium brands that assure us quality. It is our skilled client servicing executives that interpret market and customer requirements efficiently enabling us to offer an extensive range of popular and appealing products. We train these and all other professionals employed in our company to keep them updated in the latest customers dealing techniques and modern technology & equipment operation. To ensure our company’s higher efficiency we have handpicked each professional and scrutinized them for their qualifications and relevance to the company.